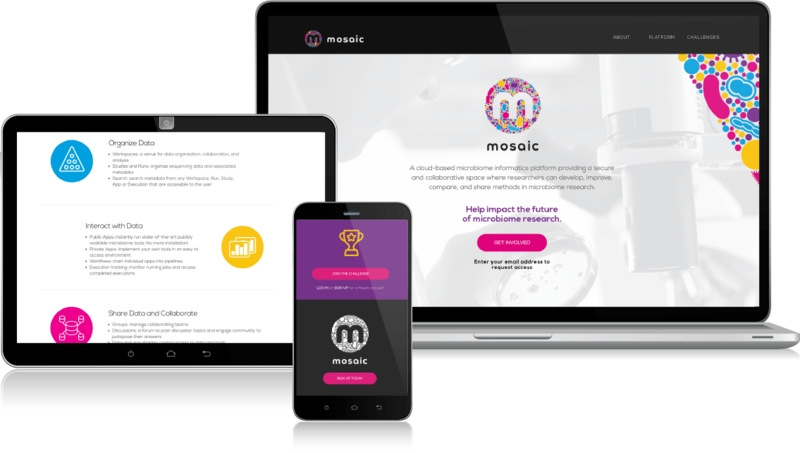 Mosaic is a cloud-based microbiome informatics platform providing a secure and collaborative space where microbiome researchers can develop, improve, compare, and share methods. 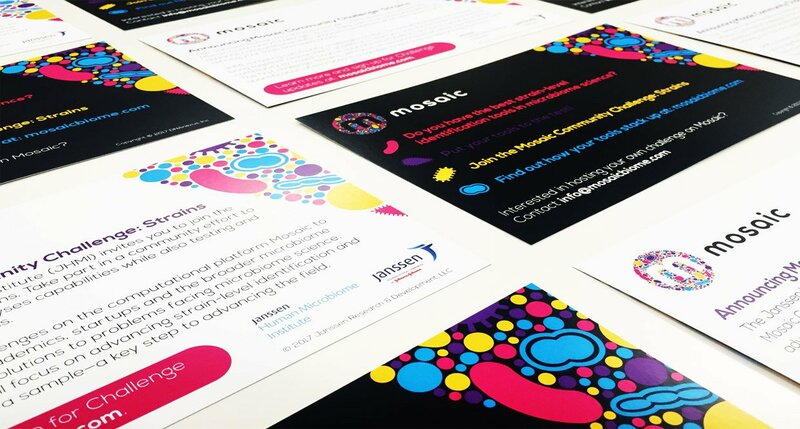 The platform name and logo convey the concept of a convergence of experts and ideas in a collaborative environment; reference the microbiome space; and serve as the foundation for a family of branding elements. 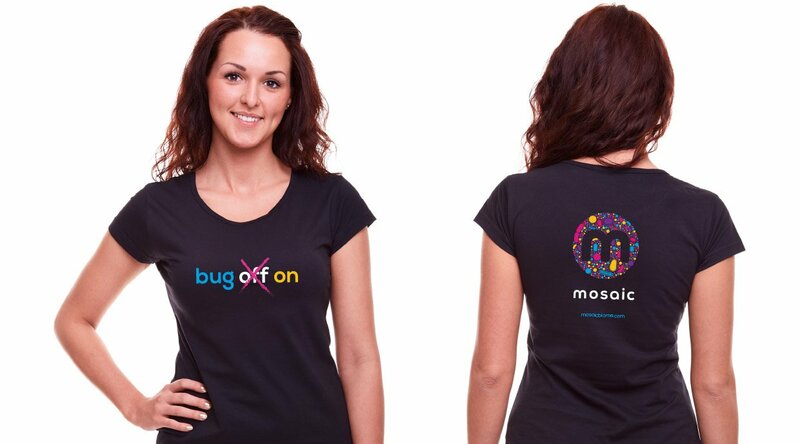 The name was inspired by the definition of mosaic, and as an acronym for Microbiome Open Source Analytics Innovation Collaboration. The logo is reflective of the meaning of mosaic while also referencing of a petri dish of microbes, bringing the context to life.